This 14″ x 24″ painting of the historic Avalon Theater was completed for exhibition at Plein Air Easton 2014. The original painting was sold in Easton at the Local Color exhibit 2015. Also available in prints and notecards. 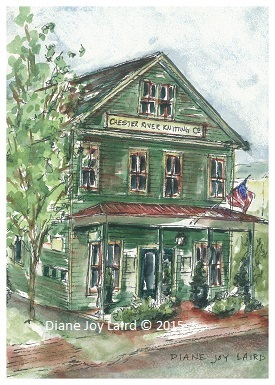 The Gallery on Cannon Street in downtown Chestertown is the location of Diane's first professional exhibition of two watercolor paintings in 2011. Tranquil Dusk and Anticipating Spring were the two pieces shown while the gallery was owned by the Chestertown Arts League (CAL), now known as River Arts. 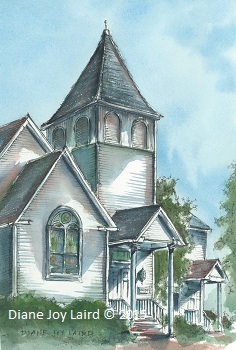 These two images, as well as many others of the Eastern Shore, are available on this website in prints and notecards. 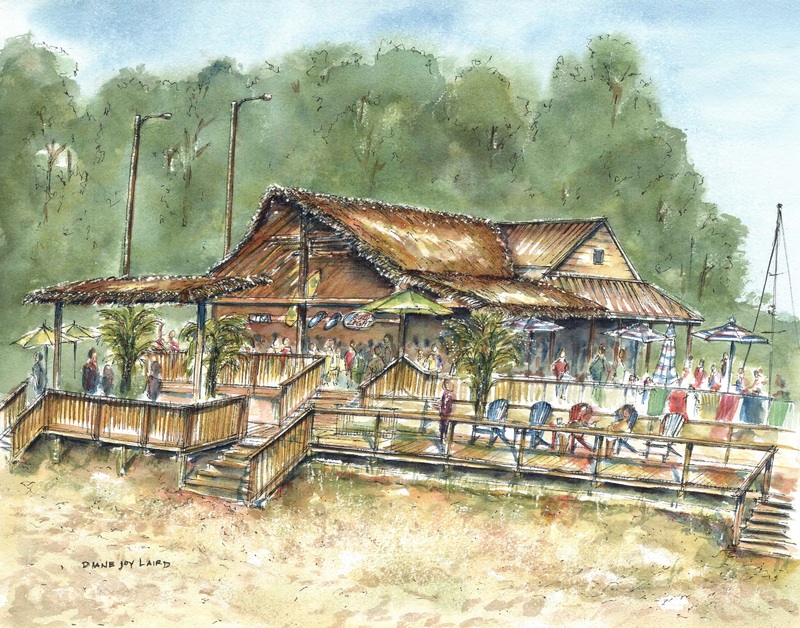 Enjoy your favorite beverage at the poolside Shanty Beach Bar overlooking the private beach at Tolchester Marina! The painting was purchased by the owners of Tolchester Marina. Limited edition prints and note cards are available. 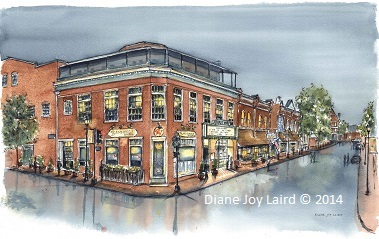 The original 5" x 7" image depicts the "Chester River Knitting Company" building on Cannon Street and offers a taste of the true architectural style found in historic downtown Chestertown. 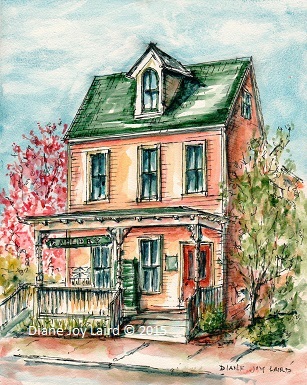 Many images of Chestertown and of the Eastern Shore can be easily viewed at Simple Joys LLC on Pinterest and are also available on this website in prints and notecards. This painting was completed on Saturday morning and purchased immediately on the pier as part of Solomon's Island Plein Air event in September 2015. Join Solomon's United Methodist Church for a welcoming worship service, featuring both contemporary and traditional styles. Prints and notecards are available.